iPhone 6S with just 16GB of memory, has Apple gone crazy or what? 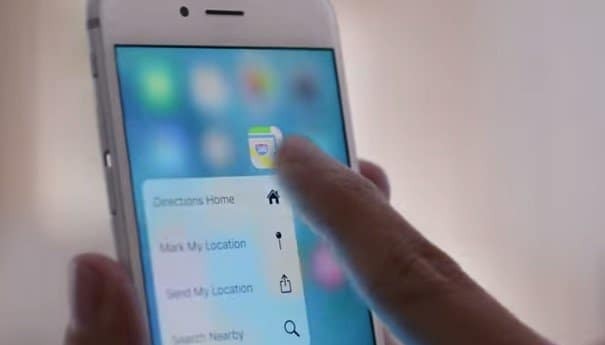 You read that right, iPhone 6S and 6S Plus were launched today with some pretty amazing improvements. First is the camera, which is a major upgrade we have seen since Apple launched the iPhone 4S, but yet that’s all about the pixel count, a bump up from 8MP tp 12MP, Live Photos, 3D Touch, a better front camera with Retina Flash and much more. Also, Apple has announced that the prices of the iPhone 6S and 6S Plus will be same as the previously launched iPhone 6 and 6 Plus, but wait, do you really need just 16 gigs of memory on board on the entry level iPhone 6S? We have some doubt regarding that, so just I will explain why it is a stupid and crazy idea to make a 16 Gig variant of the iPhone 6S and I don’t know whether some people will find it annoying or not, but if you wanna get the best outta iPhone 6S, you must not buy the 16GB variant. Okay, now let’s move onto the basic, if you look at some of the best flagships of the year like Galaxy S6 or HTC One M9, you can see that the manufacturers have added a microSD slot so that you can expand your storage easily. On Android, TouchWiz or HTC Sense like UI takes up some extra space, but you don’t need to worry about low internal storage. Now, on iPhones the story is a little different, if you even use a 8GB variant it can easily hold some pictures and videos, and app. Though you may need to back them up to cloud every now and then if you’re going on a vacation and will surely click a lot of photos and videos. For example, on an iPhone 5C 8GB variant while you got the iOS 8 update, you’re left out with just around 4GB of storage for apps, pictures and all your stuffs. Seriously, what the hell do you do with just 4GB of storage? Okay, iCloud is a solution, but you can’t just upload everything all the time and free space by deleting data. Leave that aside, now iOS apps can be upto 4GB in size, so that means you will end up installing very few apps and run out of storage. Now, if you download a lot of apps and games, takes a lot of photos and videos you’re surely gonna run out of storage even on a 16GB variant. Now, coming to iPhone 6S, the new device holds much more than any other iPhone announced ever. iPhone 6S now holds a more powerful 12MP sensor, that means more space for pictures is required. Also, the new iPhone 6S comes with Live Photos which is nothing but some sort of moving photos with sound, like a GIF or may be like those pictures we used to watch in Harry Potter. Live Photos will also eat up much more than a regular photo. On the front camera as well, you can see an upgrade from 2MP to 5MP. So, the overall size of the pics will surely increase, that means you need more storage. The same case is with videos, as now you can shoot 4K videos with iPhone 6S, 4K means 8 million pixels and that will also take an enormous amount of storage. Now, we see a huge margin between the 16GB and 32Gb variants, but actually the cost in manufacturing the phones with extra 16GB to make 32GB variant is extremely low, and that is as low as less than a dollar, so why such a huge difference for the same thing with just 16GB of extra memory? I didn’t get it yet, as I’m not some kind of researcher or market analyst. And basically, at extreme point, Apple pays just around $20 for that extra memory, so why such a hike in price? $100 difference, which is huge. So, if you’re really going to buy an iPhone 6S, don’t ever go for the 16GB variant. I don’t know yet what will be the size of the iOS 9 which is ging to be available a week later, but definitely even with iOS 9, if you buy a 16GB variant you may end up deleting apps and your stuffs every now and then.